The engine drives the pump through a reduction gearbox. Unit is skid mounted, with cage and lifting bail. 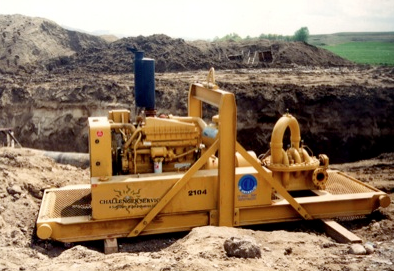 Challenger Services ditch pump is perfect for your project. 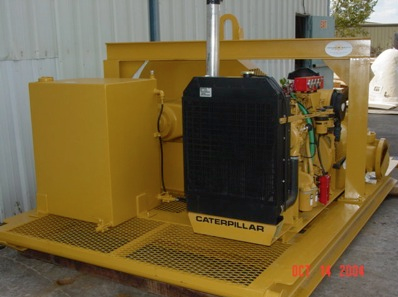 Caterpillar Model 3054 diesel engine-rated 68 h.p. at 2,000 rpm. (Duetz engine offered as an option). 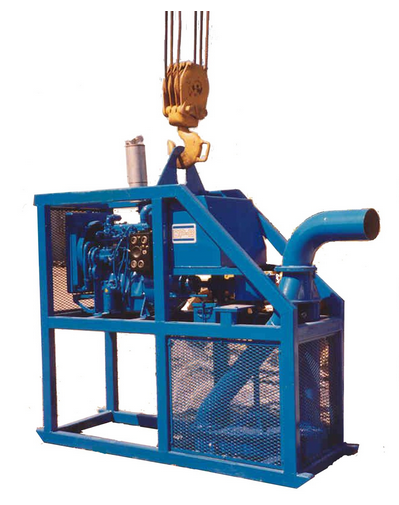 Vertically driven 8” centrifugal pump (P.T.O. engaged and disengaged). Removable bolt-on screens surrounding the pump. 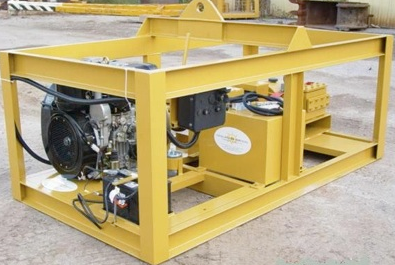 Rugged frame of 3” X 4” rectangular steel tubing with skid runners. 30 gallon capacity fuel tank. Very tolerant of some debris in the water. Deutz Model F3L 1011 diesel engine-rated 42 h.p. at 3,000 rpm. 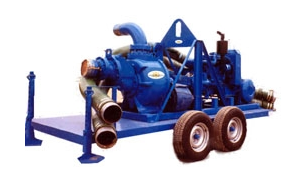 Vertically driven 6” centrifugal pump (P.T.O. engaged and disengaged). 25 gallon capacity fuel tank. 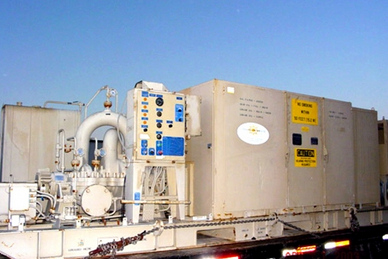 Challenger Services offers centrifugal charge pumps for your project. 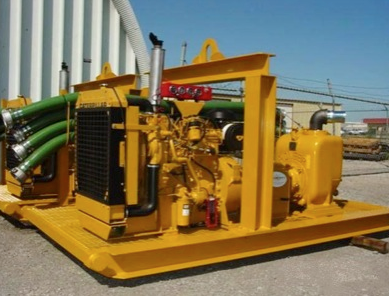 Challengers Services offers multi-stage fill pumps for your projects. Shipping Dimensions: 252” X 79” X 72” with top sound enclosure in shipping position. 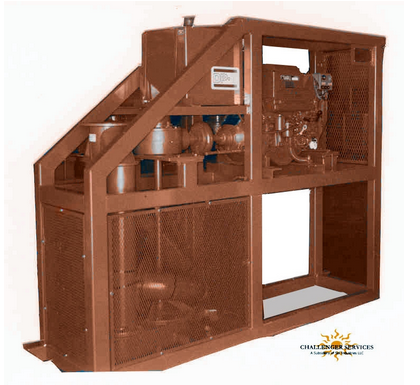 Operation Dimensions: 252” X 79” X 98” with top sound enclosure installed for operation.